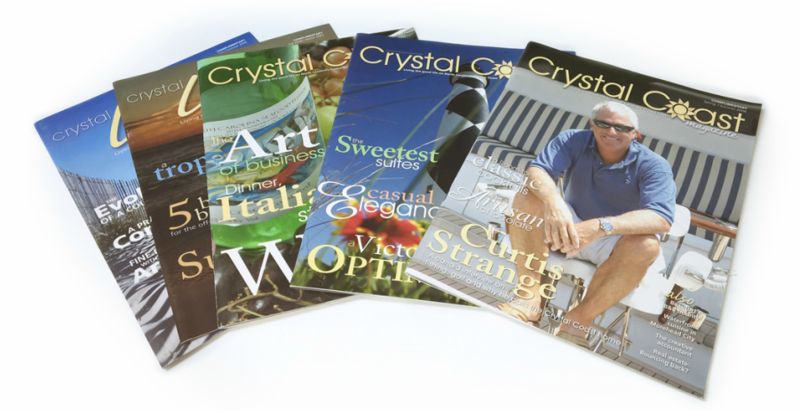 What is Crystal Coast Magazine? Crystal Coast Magazine is an upscale lifestyles publication aimed at affluent residents of and visitors to Carteret County. We highlight fine dining, art, travel, real estate, people, trends and anything else that might interest our readers. How often does Crystal Coast Magazine come out? It comes out twice a year, with a Spring/Summer and a Fall/Winter issue. Complimentary copies of Crystal Coast Magazine are available at select upscale businesses such as country clubs, restaurants, spas, boutiques, hotels and real estate companies from Beaufort to Chapel Hill.